New Bowling Green coach Scot Loeffler announces new assistants: Terry Malone (offensive coordinator/offensive line), Chris Hedden (running backs), Erik Campbell (wide receivers), Max Warner (quarterbacks) and Louie Addazio (tight ends). Carl Pelini will remain as Falcons defensive coordinator, as well linebackers coach Jacob Schoonover. Addazio is the son of Boston College coach Steve Addazio. Urban Meyer on new Bowling Green coach Scot Loeffler, one of his former assistants at Florida: "I love Bowling Green, will always be a Falcon. Scot's outstanding. He's an Ohio guy. That's a key to energize that area. I've got a great feel for that one. I'm glad he got it." Bowling Green has hired Boston College offensive coordinator Scot Loeffler as head coach. Bowling Green announces Boston College offensive coordinator Scot Loeffler is its next coach. I heard early today that Loeffler, not Notre Dame special teams coordinator Brian Polian, had emerged as the top candidate for the BG job. Loeffler coached in the MAC at Central Michigan and spent many years at Michigan, including as offensive coordinator. The Bottom 10 has drama, it has upsets, it has ... basketball? You didn't see any drama in Week 11? Well, that's what you get for watching the Top 10 instead of the Bottom 10. UTEP held off Rice in the Bottom 10 Pillow Fight of the Year, while the Big Three in Florida -- Gators, Hurricanes and Seminoles, oh my -- came up small. When UTEP and Rice take the field on Saturday, it's about more than a game. The top spot in the Bottom 10 will be on the line. Y'all see that Western Kentucky-Old Dominion ending? It was one for the Bottom 10 record books. Georgia fans have been complaining about their team not getting enough national recognition, but after going from No. 2 overall to the Coveted Fifth Spot, they've earned the Bottom 10's respect. From 2012 to 2015, Bowling Green went 36-19 under two men -- Dave Clawson and Dino Babers -- who had previous head-coaching experience. I'd expect the school to seek the same in its next coach. Some potential candidates who fit the profile: Notre Dame special teams coordinator Brian Polian, Mount Union coach Vince Kehres, Ohio State co-offensive coordinator Kevin Wilson, James Madison coach Mike Houston and Fresno State offensive coordinator Kalen DeBoer. Others without HC experience include Notre Dame assistants Mike Elston and Clark Lea, and Northwestern assistant Matt MacPherson. 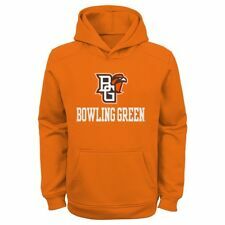 Mike Jinks is out as Bowling Green's head coach after a 1-6 start for the Falcons. Defensive coordinator Carl Pelini will take over the duties in the interim.